Constructed in 1989, McLane Hall is named in honor of Drayton McLane, Jr., a resident of Temple and former owner of the Houston Astros. One of two male residence halls on campus, this two-story facility houses 190 students. 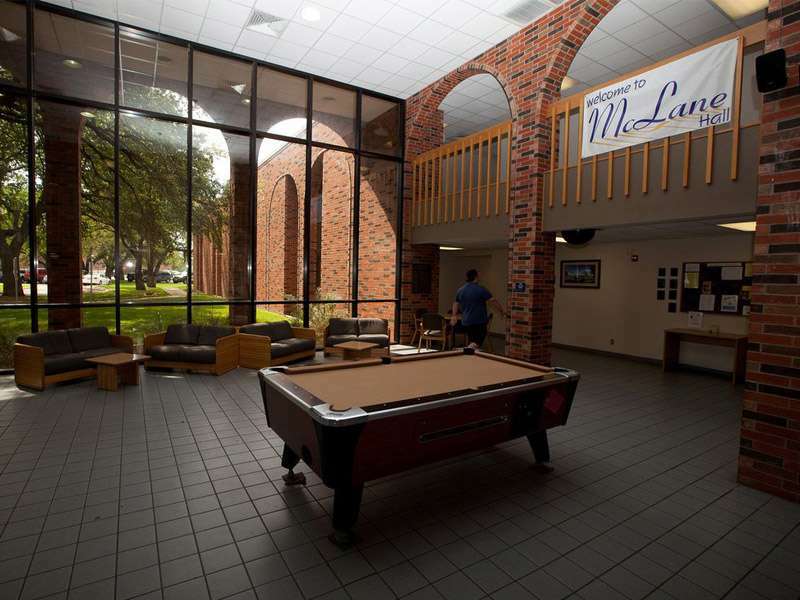 Located on the northwest corner of the campus, McLane Hall sits close to Hardy Hall and the Mayborn Campus Center which houses the gym, workout center, and recreational space. It is within easy walking distance to academic buildings and the library. Features of the building include a computer lab, a large lobby with a pool table, laundry room where laundry can be done free of charge, vending machines, a meeting room, and two separate TV lounge areas. A block of rooms within the building are set aside for freshman honors program applicants. Resident Assistants are assigned to each floor of the building and the Resident Director lives onsite. Building security includes a staff member on duty each evening until closing and a card access system for entry into the building after doors are locked. Approximate room dimensions are 15' x 14' (210 sq. ft.). Shared room comes equipped with two twin beds with 80" mattresses, two desks, two desk chairs, and two chest of drawers. The desks and chest of drawers have blue laminate tops. Each resident has his own closet space. The private bath is approximately 8' x 8' and has a shower and a large vanity area. One large window is in each room. Window size is 71" x 53" (inside casing) and mini-blinds are provided.